A highly corrupt and nepotistic Samajwadi Party government in Uttar Pradesh (UP) does not deserve to be in Government. It needs to go. This should be irrespective of who, which faction Mulayam Singh Yadav-Shivpal Singh Yadav or Akhilesh Yadav-Ram Gopal Yadav keeps cycle symbol, or warring Yadav clan members call truce and become friends and family again. Uttar Pradesh does not have medieval monarchy or a modern day dictatorship. It has democracy and an elected government is answerable to people for all its acts of omission and commission in office. What kind of party governs Uttar Pradesh where Chacha Shivpal Singh Yadav, also party chief for the state publicly says that his nephew and chief minister Akhilesh Yadav is a liar? What kind of party is it — a chief minister's mic is snatched while he is speaking and told that he is lying. 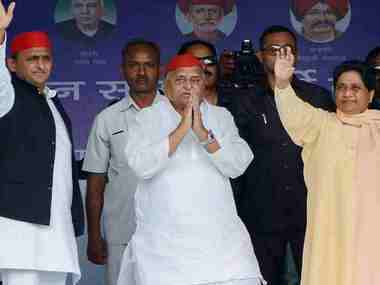 The Yadav clan chieftain and ultimate boss of the Samajwadi Party, Mulayam Singh Yadav says that the current government is promoting gamblers, drunkards and that the power has gone to his son — the chief minister's head. The chief minister is living in an illusion that the youth are with him. However, they were with him and would have done anything on one call given by him. Mulayam aka Dhartiputra minces no words and letting the world know that he held the remote in Akhilesh's government. Akhilesh has spoken about how revered "Netaji" was an extra constitutional authority, and he took all critical decisions on his direction. Party chief supporters criticised the chief minister and in turn the chief minister's supporters criticised party chief and his other proteges. Mark the words on extent of corruption, that too in writing by Ram Gopal Yadav, national General Secretary and Leader of Samajwadi Party in Rajya Sabha (now expelled by held these posts when he wrote it on Sunday morning) and response of Shivpal Yadav, Samajawadi Party president UP unit, Number two in Government with dozen portfolios in his command (now sacked from government). "Udhar wo log hain jinhone hazaro crore rupya bahaya, vyabhichar kiya aur satta ka durupayog kiya. Janata ko bhramit karne ke liye kuch log madhyastata karte hain, bayanbaji karte hain" (On other side are those people who spent thousands of crores of rupees, committed immoral unethical acts and misused perks or power. To misguide common people some persons mediate and issue statements) — Ram Gopal Yadav letter dated 23 October 2016, time 6 am. The reference to "those persons" by Ram Gopal seems to be clearly for the faction led by Mulayam Singh Yadav, Shivpal Yadav, Amar Sigh and company. See this part of statement on record by Shivpal Singh Yadav on Ram Gopal Yadav and company: Wo (Ram Gopal) ye sab isliye kar rahen hainkyonki unke putra akshay Yadav evam putravadhu, Yadav Singh ghotale me phanse hue hain...Wo bhatachariyon se mile huye hain...Unhone sadyantrakariyon tatha galat kam kane walon ka giroh bana kar aam logon aur karyakartaon ka shoshan kiya hai (He is doing all this because his son Akshay Yadav and daughter-in-law are deep into the Yadav Singh scam. He is hand in glove with corrupt. In cahoots with conspirators and wrong doers he has formed a gang to oppress common men and party workers." 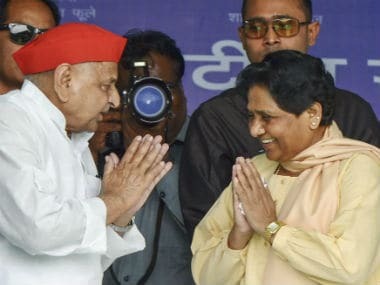 Remember, both these gentlemen have been heavyweight founders of SP, brothers of Mulayam Singh Yadav albeit currently on opposite side and proxy chief ministers. So their words have to be taken in all seriousness, it should deserve. They know what they are saying and know the truth of how SP the government had been functioning for the past five years in most populous state in the country, and for the decades as a party when SP had its government in UP and when it supported UPA One and UPA Two at the Centre. Obviously the "thousands of crores of rupees" spent by the other side, which Ram Gopal is mentioning was not the money earned through humble legitimate means of small farming and selling dairy products. It was corrupt ill gotten wealth. The crime becomes even more serious when it is coupled with blatant misuse of power and other immoral acts. Shivpal's charges of Ram Gopal and his family being corrupt are more specific. His charge that Professor had formed a gang of corrupt, conspirators and wrong doers is even more serious. There couldn't be a bigger proof than this of naked corruption in SP government in UP. The central investigative agencies, revenue intelligence authorities and even Courts should take suo-motto cognizance and begin investigation. These two gentlemen should be the first ones to be questioned. If this probe is of any worth then half or more of Samajwadi Party patrons should be behind bars. It is thus pertinent that such a corrupt and nepotistic government should not be allowed to stay in government even for a day. Though Centre would be wary of imposing President Rule in wake of adverse rulings by the Supreme Court on Arunachal and Uttrakhand but wouldn't be averse to it, if there are legitimate grounds. 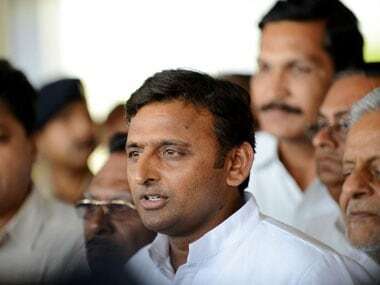 The BSP and BJP are soon expected to demand a special session of assembly by Akhilesh government and a vote of confidence be held on floor of the House. But till such time that happens, Akhilesh, the chief minister, the supposed good guy in the whole episode will have to answer for rampant corruption, that too at the highest level in his government. He will have to explain how was Amar Singh actually interfering. How was his father interfering. How contracts of all kinds were awarded. Why did he sack Shivpal Yadav twice and despite he was forced to reinstate uncle Shivpal why did he not give him PWD portfolio? Why did he sack Tulsi Prajapati and then why did he re-induct him in government and again when he sacked four ministers on Sunday why a tainted Prajapati escaped the axe. He can't get away by giving his vague hurt ego clues. As chief minister, he owes it to the people of UP to explain what the two uncles have said on record about "thousands of crores of rupees" and a "gang" of corrupt and conspirators operating within his government and also outside as extra constitutional authority. He also owes an explanation as to what Shivpal had earlier said about land grabbing. The list is endless. The chief minister can't let off with the impression that he was a helpless young man trying to accommodate to wishes family elders. He cannot be a development messiah and a crusader when he led an allegedly corrupt government and all his family members misused perks of power in his knowledge. In 2012, people had voted for the Samajpadi Party with high hopes, giving it 224 in 403 members. Yadav clan members can fight as much they want, but as long as their family fights concern governance of UP, the fate of people in Uttar Pradesh and abuse of their money — called as tax payers money they can't be allowed to continue doing what they are doing. 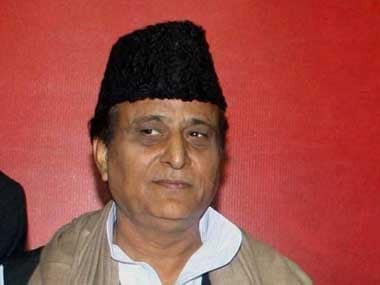 Samajwadi Party government to go, at the earliest. Out of power, they can sort out their factional family feud but the government and governance has to be spared.